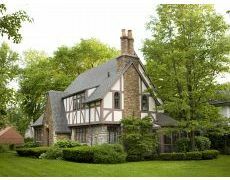 The Tudor style is sometimes referred to as Medieval Revival because it harks back to the Tudor Dynasty, from the late 15th century through the early 17th century, in England. 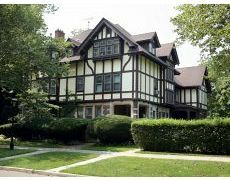 Tudor Revival homes have been built in America since 1890 and are still being constructed today. 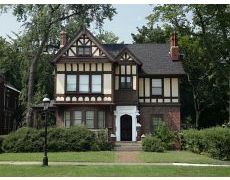 Tudor Revival homes feature brick, stucco, or stone siding and roofs that are either steeply pitched and gabled or low and sloping, with material that gives a thatched effect. Windows are tall, with many small panes, and the entry doorway is usually low and arched. 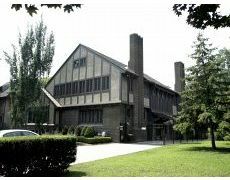 The style also incorporates tall, wide chimneys, perhaps topped by decorative chimney pots. 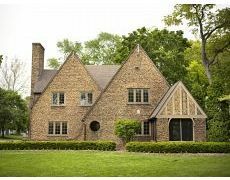 But a Tudor Revival home's most distinctive feature is known as "half-timbering," strips of wood framing that forming vertical, horizontal, and diagonal patterns on the masonry. 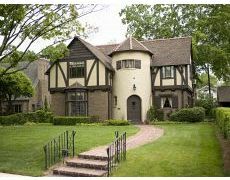 Tudor Revival homes can range in size from small Cotswold cottages to large mansions that resemble medieval castles. 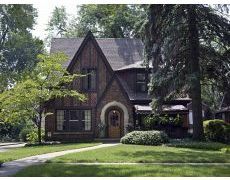 Some incorporate Victorian, Queen Anne, and Craftsman-style details in their design.